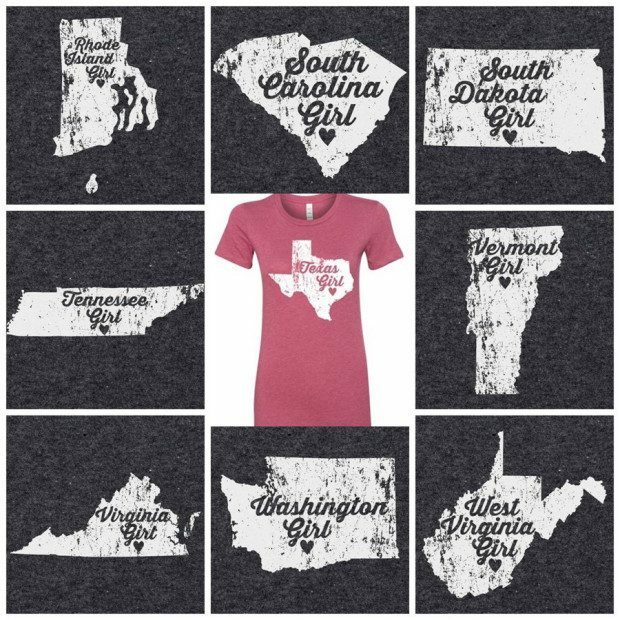 Home State Girl Graphic Tees Only $11.99! You are here: Home / Great Deals / Home State Girl Graphic Tees Only $11.99! Wear your home state pride for all to see! Get the Home State Girl Graphic Tees for Only $11.99! Made of 100% Ringspun Cotton, these tees are not only cute, but are super comfy and one of the softest shirts ever!